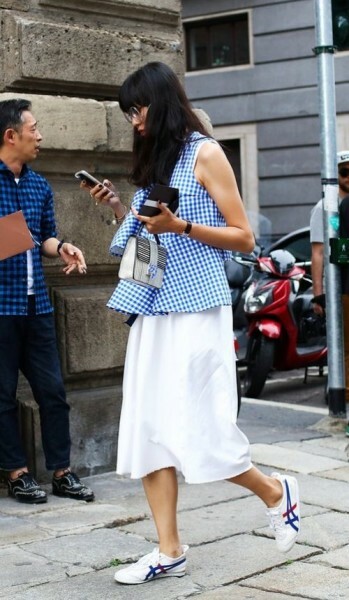 How to Wear Back The Gingham Trend Fashion in Any Outfits – The classic print we have been falling in love with all over again is gingham. It’s not just the diverse pool of celebrities such as Kate Middleton and Taylor Swift that have made us enamored by this checked style, it’s also the unique ways in which designers have been utilizing the print that are making us see it in a whole new light. 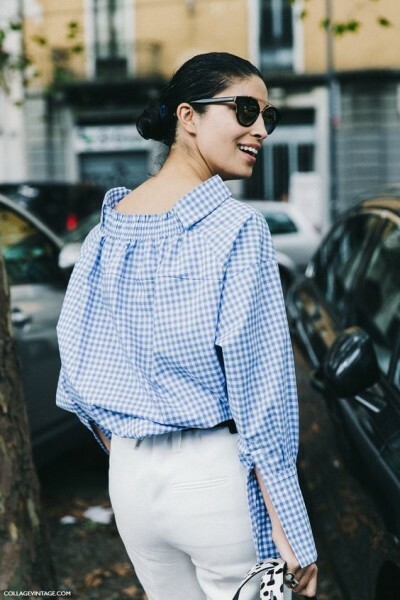 This borrowed-from-the-boys gingham button down feels just right for spring. Keep it casual with a rolled sleeve and drawstring shorts. The picnic-friendly checks make us feel instantly cheerful, and lucky for us, it seems the street style set feels similarly. Much like floral, gingham is one of those spring and summer prints that give your outfit an instant seasonal update. Whether it comes in the form of a button-down shirt peaking out from your blazer for work or a pleated frock worn to a weekend BBQ, there’s always a place for gingham! Trend Spring 2017: The Ring Bags to be the next hottest collection!